The Petzl Croll is a durable, useful and efficient chest clamp for use during rescue situations and during rope access. 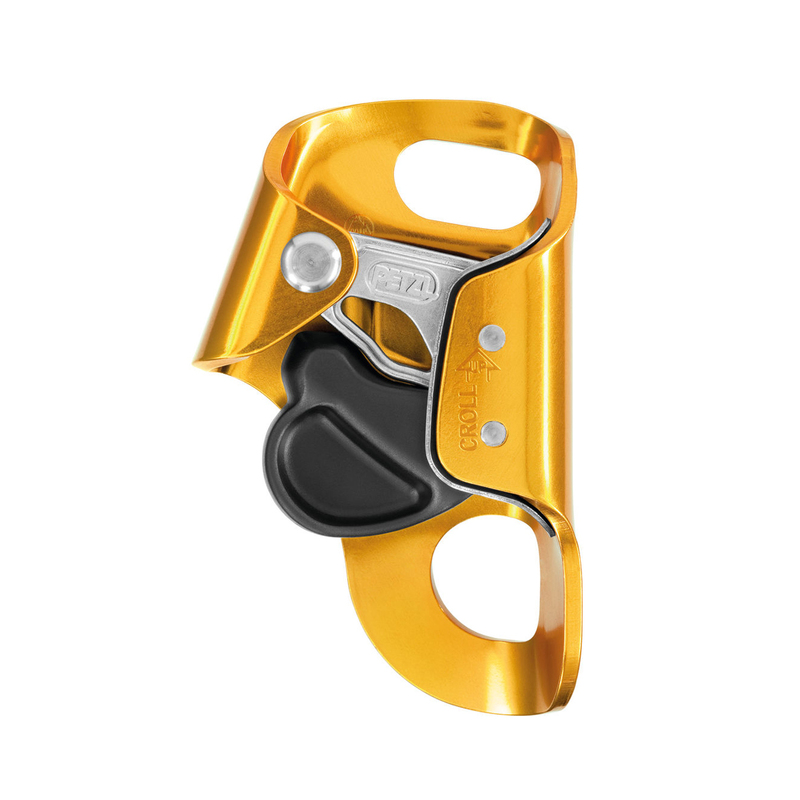 The Petzl Croll is compact in size and has very minimal weight at only 85g. The ascender is reinforced with stainless steel to make it last again corrosion, and the stainless steel wear plate also reinforces the rope friction zone. The toothed cam is designed for efficiency with self cleaning slots to allow for seamless rope use during muddy, snowy or generally bleaker weather conditions.